I have ridden horses all of my life and I have owned buffalo. 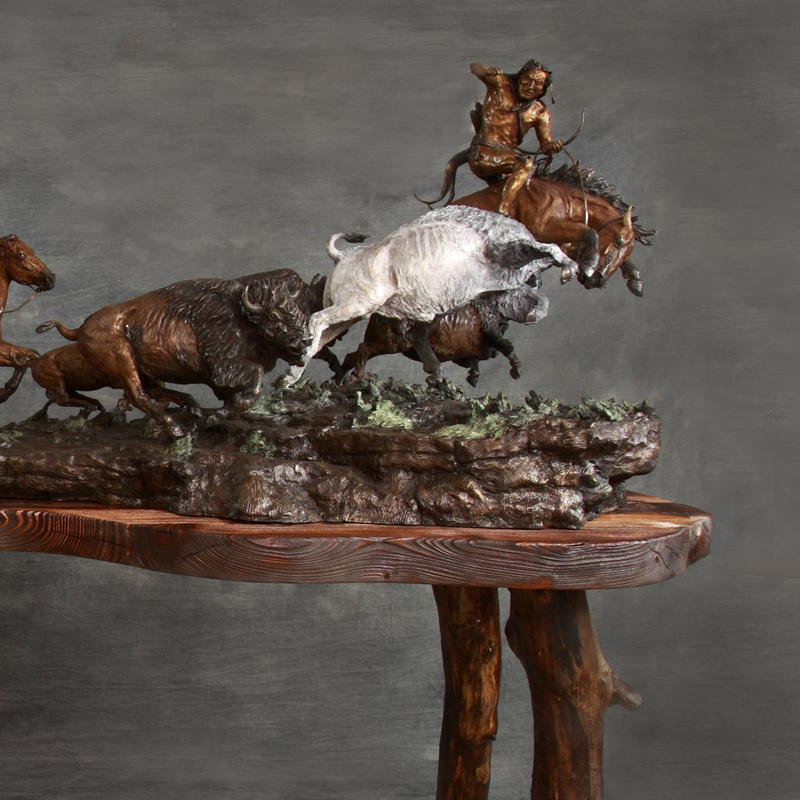 As an Indian, I feel qualified to make this sculpture of a buffalo run. 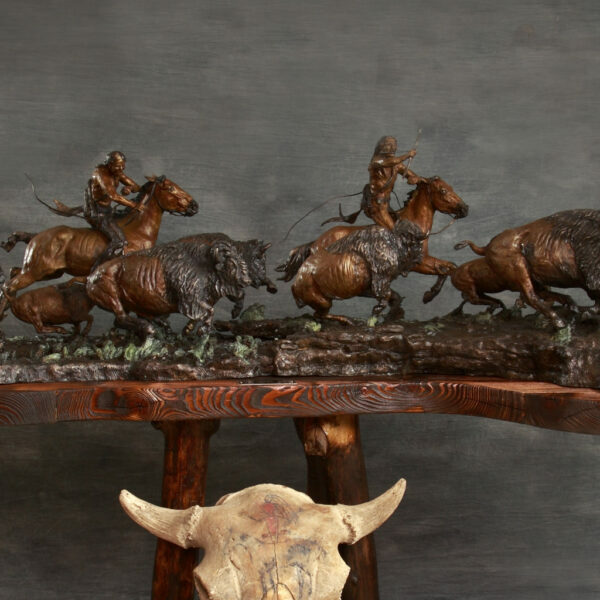 The White Buffalo has many sacred aspects for the Indian people and it is the focus of this sculpture. I did this sculpture to show the Indian people as accurately as possible. I believe you have to know the culture of people in order to show them artistically. I spent a lot of time as a young boy with a man I called The Old Indian. 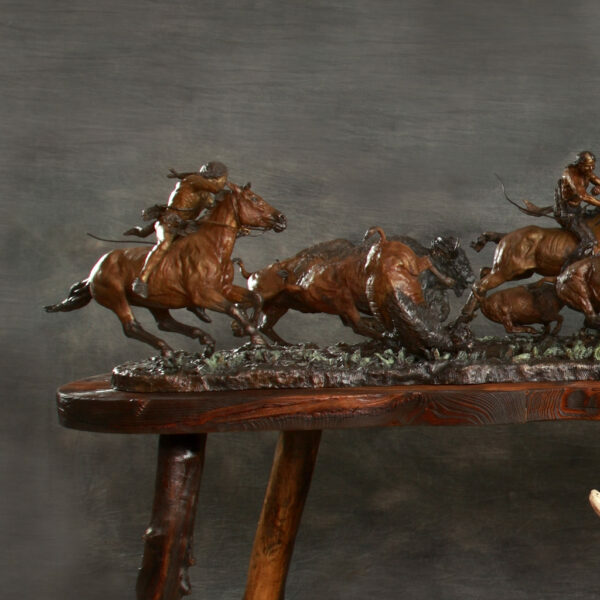 His name was Isadore Allery and he taught me how to hunt, work cattle, handle horses, and he got me a man’s wages when I was still a teenager. I still visit his grave in Malta, Montana. He was born in 1887 and died at 96. He was a man too old to fight in the First World War but who volunteered and served his country. To this day his words of wisdom come back to me often. I also knew Tom Two Kill. He actually killed buffalo on horseback. He was 100 when he and I talked about how Indians handled and made bows and arrows. 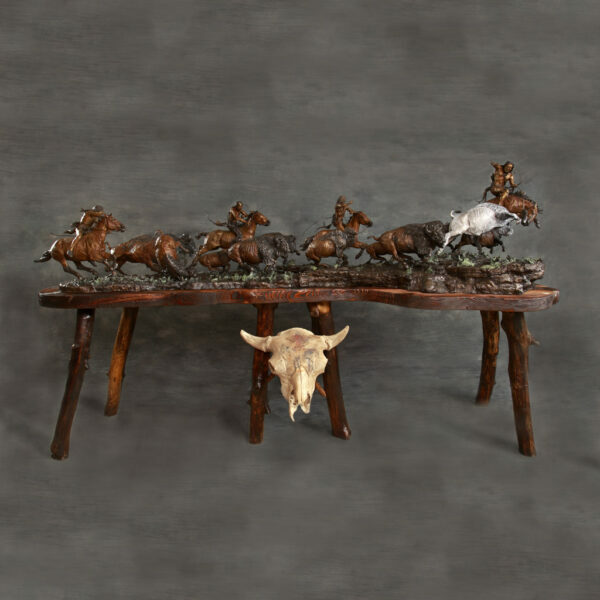 He recounted stories about buffalo hunts in the late 1800’s.